In his new role as a sports columnist for Gotham, a slick new magazine for Manhattan party animals, black filmmaker Spike Lee asks another burning question: Was Babe Ruth black? Eh? The Babe? The Yankees' home run king? The "Sultan of Swat"? The question is not a new one, it turns out. 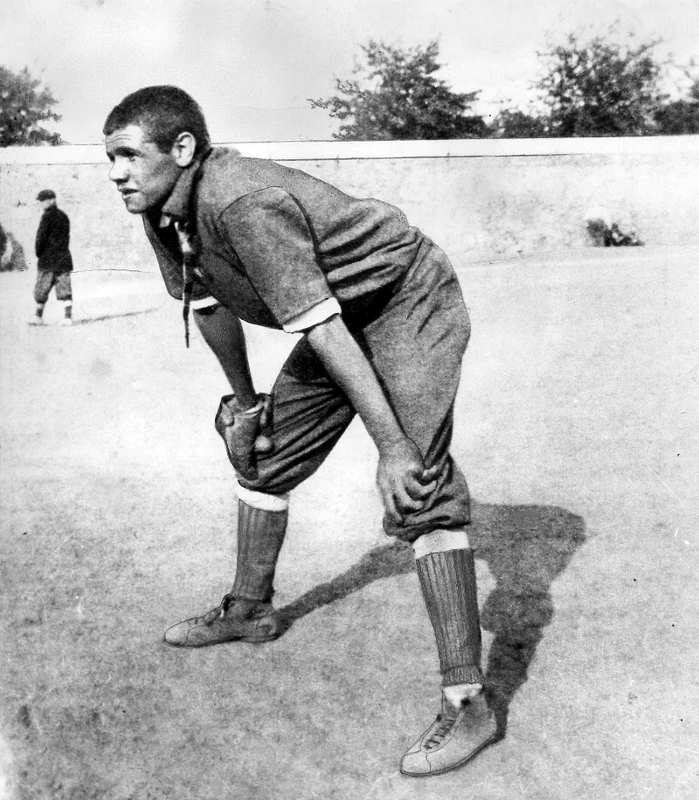 Despite George Herman "Babe" Ruth's denials at the time, rumors and suppositions persisted about his racial background. His nose was just broad enough, his lips were just full enough and his complexion was just swarthy enough to draw not only suspicions but also some vile, N-word taunts from the opposing team's bench. Either way, imagine what the Babe was going through. Although Ruth's maternal grandparents were immigrants from Germany, his father's family lived for several generations in 19th century Baltimore and is less easy to trace with total racial certainty. Even if there were no hard evidence that he was black, how was Ruth to come up with hard evidence that he wasn't? You can't prove a negative, as the old saying goes. Ruth was white enough to stay in the heavily segregated major leagues, but not white enough to resist taunts and other forms of discrimination, according to some accounts. Gee, imagine how the Babe must have felt. Whether he was a black man or not, he was getting abused like one. In the May 7 issue of Sports Illustrated, columnist Daniel Okrent responded to Lee, citing an episode alleged by Fred Lieb, a sportswriter of that era. According to Lieb, the notoriously racist Ty Cobb refused to share a cabin with Ruth at a Georgia hunting lodge, saying, "I've never bedded down with a n----- and I'm not going to start now." Unfortunately, Lieb was a notorious yarn-spinner, says ESPN.com columnist Rob Neyer, coming back in his May 10 Web column. Neyer cites Charles C. Alexander's biography of Cobb as evidence that Cobb and Ruth built "something of a friendship" after the 1924 World Series. Commentator Roland Rogers at BlackAthlete.com chimes in with accounts of Ruth as a frequent visitor of black women in Harlem during the 1920s, when the uptown Manhattan neighborhood drew a chic clientele from everywhere. Perhaps now, says Lee, it is time to end the mystery. If DNA testing was good enough for Thomas Jefferson's remains, to see if he fathered children by one of his slaves, why not test the Babe? I suspect Lee is putting us on here. He doesn't really call for Ruth's exhumation. Besides, DNA testing did not settle the Jefferson question, and I don't expect this argument would end any more quickly. So, should we care whether Babe Ruth was black? Yes, for several reasons. One is historical accuracy. I don't know why baseball fans, who normally obsess over the most tedious tidbit of information about their sports heroes, suddenly would want to look the other way when probing Babe Ruth's ancestry. As an African-American old enough to have rooted for Jackie Robinson, I certainly care about stories like the Babe's background. It is not that I am all that eager to claim one more hero for the annals of black history. Rather, I am delighted to remind everyone of how many old baseball records deserve to have an asterisk next to them in the record books. It would gently remind us of how long the races were not allowed to compete on the sort of level playing field that Americans of good will still are trying to achieve for our society today. Second, the question of Ruth's race reminds us of how far we have come with race in this country and how far we have to go. Sure, race is an uncomfortable topic these days. That's sort of why we should talk about it, isn't it? If Babe was black, he would have had obvious reasons for hiding it back then. Jackie Robinson did not break baseball's color line until the late 1940s. But what about now? Would Ruth still hide his race? Or would he brag about it? Or would he regard his race the way Tiger Woods does, as just one of several racial ancestries he claims? Yes, sports matter in American history, just like race matters. The performance of blacks and other nonwhites (including Japanese-American soldiers whose families were incarcerated in detention camps back home) helped accelerate the desegregation of baseball. Then the successful desegregation of baseball helped encourage President Harry Truman to desegregate the armed forces, which helped to encourage the Supreme Court to order the desegregation of public schools. Today, we can take the racially troubled past and use it to gain a perspective on the future. The question of Ruth's blackness raises important questions about what race means and what it should mean. Is "one drop" of black blood enough to make you black, as the old rule goes? If not, how much is? When you probe the meaning of race that deeply, it starts very quickly to fall apart. Unfortunately, we have not reached that ideal state in this country where race no longer matters. Instead of running from the past, we need to remember it in order to build a better future. Clarence Page is a columnist for the Chicago Tribune, 435 N. Michigan Ave., Chicago, IL 60611. ℒℴѵℯJay ELECTUA and Kaedus dapped this. But Oscar Charleston was, and a lot of baseball historians argue he was just as great as Ruth. And he might have proved it, had he been given the opportunity. Wise D'Angelo, Rawster, ItsMeButters and 11 others dapped this. Broad Street Bully dapped this. Rawster, ItsMeButters, String Bell and 19 others dapped this. Wise D'Angelo, Rawster, cKondomsucK6 and 17 others dapped this. Yes he was 20% African. Skooby and Columbo dapped this. Rawster, ItsMeButters, Interloper and 4 others dapped this. Rawster, String Bell, Drizzy Dre and 7 others dapped this. I'm sure it's possible. Anyone denying that don't know shyt about American history. Rawster, Cadillac, Skooby and 16 others dapped this. Broad Street Bully, Rawster, Luck and 2 others dapped this. I wondered about this some years back when I heard they use to give him racial nicknames. He always struck me as one of those Louisiana red cats with straight hair. I mean it’s not all that out of the ordinary when u think of how well he played ball. Rawster, ItsMeButters, DrexlersFade and 11 others dapped this. George Herman Ruth Jr. was born in 1895 at 216 Emory Street in the Pigtown section of Baltimore, Maryland. Ruth's parents, Katherine (Schamberger) and George Herman Ruth Sr., were both of German ancestry. ItsMeButters and Luck dapped this.